Dubai: They may not be wearing their distinctive yellow, blue and red striped renaissance garb that tourists flock towards for a selfie outside the Vatican, but the Swiss Guards will still be in Abu Dhabi performing their usual role as the pope’s bodyguards this week. 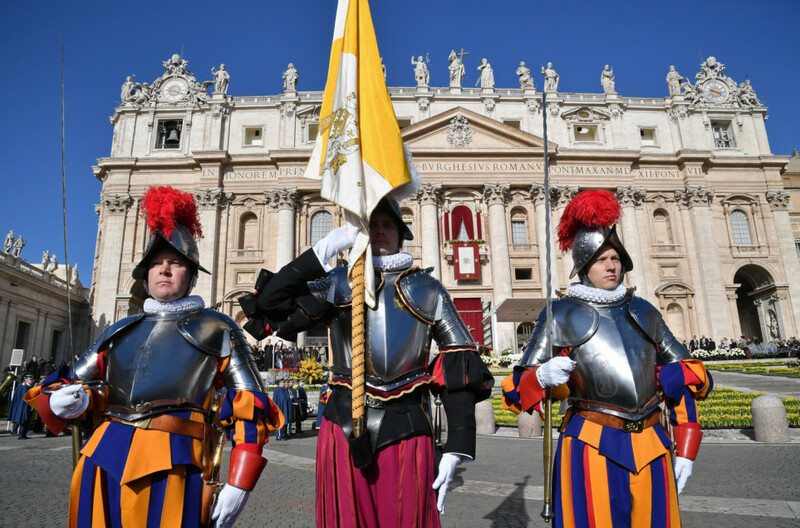 It is a duty they have served for over 500 years, never leaving the pontiff’s side wherever he resides or travels, but while their methods of protection have modernised enormously, to make them one of the world’s most elite special fighting forces, their traditions remain entrenched and unflinching. First enlisted in the 1500s for their feared reputation as ruthless mercenaries, they remain, to this day, unmarried male recruits drafted only from Switzerland, aged between 19-30, who are over 1.74 metres tall, and of devout catholic faith. They must also have served in the Swiss Army, be educated to at least a high school degree or diploma level, commit to serving at least two years and be of great moral and ethical upstanding. 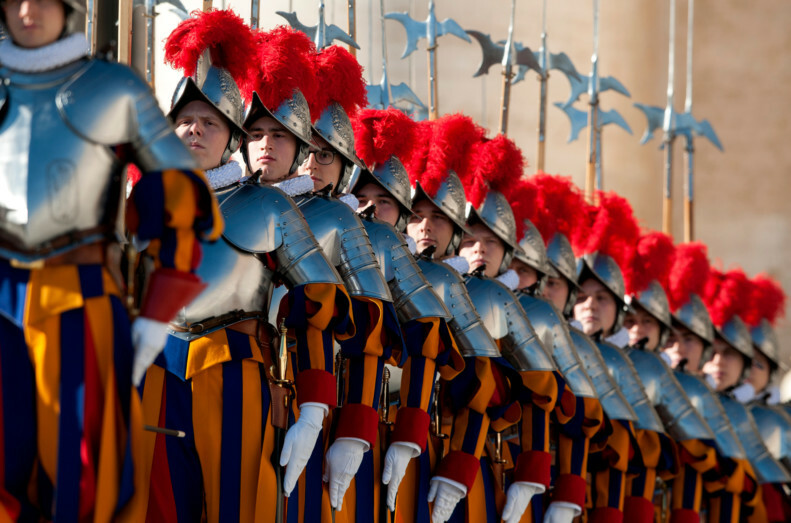 Beyond a prime address at barracks in the Vatican with views overlooking Rome, and the inside dope on what it’s like working for a pope, the life of a Swiss Guard is not all that glamorous, however. They earn just Dh5,500 a month (including food and accommodation) and can’t get married until they are 25, have served at least three years, commit themselves to another three, and have at least the rank of corporal. There’s also only 135 of them, which means although they get 30 days holiday a year, that includes weekends and holidays, so a guard may only get a Sunday off once a fortnight. If they are not lucky enough to be on the elite list chosen to travel the world undercover alongside the pope, they are stuck on guard duty outside the Vatican, wearing the traditional 154-piece uniform they are so famed for, that weighs (3.6-kg) and takes 32 hours and three fittings to complete, making it one of the world’s heaviest and most complicated military uniforms.